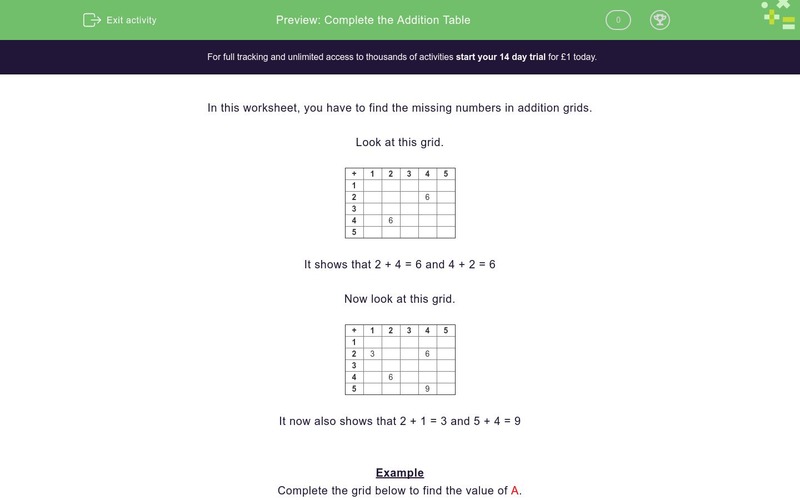 In this worksheet, students must work out the missing numbers in the addition grids. In this worksheet, you have to find the missing numbers in addition grids. Now look at this grid. Complete the grid below to find the value of A. Complete the grid below to find the value of B. Complete the grid below to find the value of C.
Complete the grid below to find the value of D.
Complete the grid below to find the value of E.
Which letter stands for the number 10?